When considering the switch to a VoIP phone system for your company, it makes great business sense to use auto attendant software. Such a system frees valuable human resources for tasks that are directly related to earning a profit. An automated attendant is also incredibly efficient as it can quickly direct calls to the appropriate parties or departments. However, a telephone auto attendant can do much more as long as the provider offers a full set of features, as with Vonage Business. Let’s take a look at some of the top features of the best auto attendants. Features of auto-attendants can be split into three separate categories: settings, basic features and advanced features. Settings are often overlooked when choosing a VoIP telephone service, but they can include some valuable tools. • Greetings – The best system will allow you to record high-quality greetings that sound indistinguishable from live voices. Multiple greetings and custom voice prompts provide the greatest flexibility. • Business hours – Specifying your company’s business hours allows you to create separate sets of rules for when the business is open and when it is closed. This is not only important for after-hours calls but also for weekend and holiday calls. • Operator extensions – This feature allows you to set any employee’s extension as the operator, which makes life easy when your office uses a rotating phone schedule. • Add and remove users – It should be a simple matter to add and remove extensions as required. After all, scalability is one of the prime benefits of VoIP phone service. Companies like RingCentral , Grasshopper and Ooma office offer all or most of these features. • Auto attendant voicemail – Auto attendant voicemail is an essential feature that should be included in all plans. Without voicemail, the system loses much of its usefulness. Employees should be able to record separate messages for their extensions. In addition, separate voicemail inboxes for different departments makes returning calls highly efficient. • Notifications – The best systems include a variety of notification systems. They could use the lights or rings of the phone, but it is also very helpful to include a voicemail-to-email feature for desktop and laptop computers and a voicemail-to-text notification for mobile phones. • Call forwarding – This feature permits you to forward a user’s calls from his or her office extension to a cell phone or another line that is more conveniently answered at the time. • Information lines – You can establish certain lines to play prerecorded informational messages that send the caller back to the main menu when completed. • Smartphone apps – Smartphone apps allow employees to tap into the phone system from their mobile devices, creating a seamless connection with the office. • Multiple phone numbers – Some company’s prefer to have both a toll-free telephone number and a local number. • Conference calling – An unlimited number of in-house extensions and outside lines can be added to a single conference call for important group meetings. Digital attended phone systems allow businesses to have call routing abilities 24 hours a day without having to employ a switchboard operator. Employees can reliably receive calls at anytime, anywhere in the world. One account administrator can easily manage an auto attendant system and establish rules for all incoming calls to a main number. With an auto attendant system, a business need never miss a call and because every call is routed to the right person, department or information, you'll be providing better service to your callers. 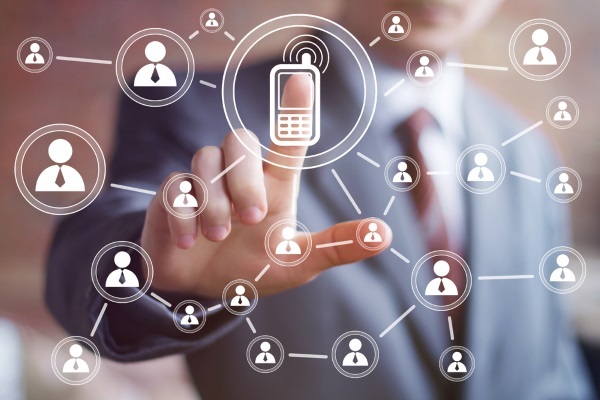 Auto attendant phone systems for VoIP are the wave of the future. Virtual auto attendants can do everything that a live receptionist can do, and are easily programmable to fit a business’s specific needs. Digital attended phone systems guarantee that all incoming calls will be handled consistently, reliably, correctly and professionally. Auto attendants are effective, efficient and affordable, but it pays to consider all of the features offered by your provider. Settings should be robust and highly configurable with several basic features included and advanced features available for those in need.